These soft silicone washers are ideal for damping vibration from fans, hard drives, optical drives and power supplies. They are cheap, simple to install, and can be surprisingly effective. Although many PC components create noise in themselves, this can be made much worse when components are installed into a PC case, and their noise can become amplified by vibration of the metal onto which the component is mounted. 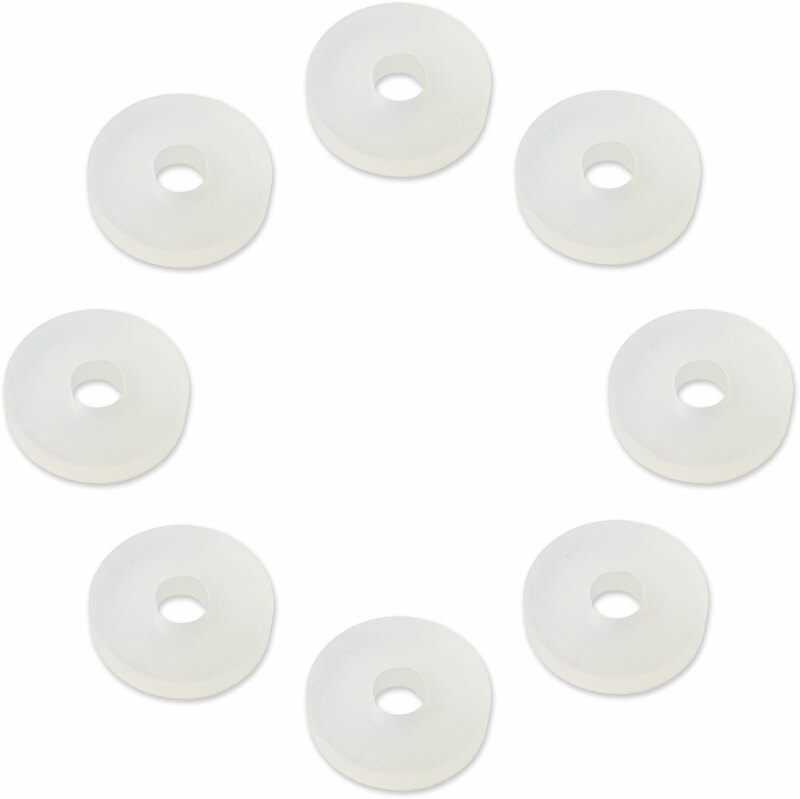 These soft silicone general-purpose washers seek to reduce or eliminate this vibration effect, which often manifests itself as a deep, annoying rumbling sound. 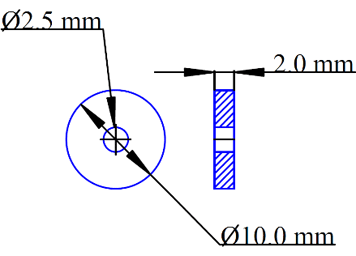 Simply put one washer between the device and the metal panel onto which it is mounted, then put another washer onto the screw so it sits under the screw head, then screw the device into place. The silicone washers will sit on either side of the metal panel, and significantly reduce the amplified vibrational noise from the fan, drive or power supply. Easy! 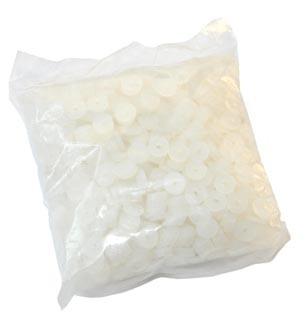 The washers are available in retail packs of 8 and OEM packs of 1000. 8 washers are needed to mount one fan/PSU/HDD/ODD, or 1000 washers can be used to mount 125 devices. If you decide to use only 4 washers per device, they will go twice as far, but the sound deadening effect may be lessened. Small head screws can't keep the washer in place very well. When tightening, the washer is squashed and usually falls off. Works well with bigger heads to keep the washer in place and provide effective absorption. Let me first say that dealing with QuietPC.com has been a nice experience. The purchase process is quick and easy and there is always plenty of information available on the status of your order. Delivery is quite fast, totalling 3-4 working days in transit to Spain. Having said that, in my experience these washers have been pretty useless. I was trying to silence a noisy HDD (only audible when reading/writing) fitted inside a Silverstone TJ08E case. After installing one set of 8 washers between the HDD and the HDD-case, and later an additional set between the HDD-case and rest of the computer case, I found out that the rattling sound was definitely as bad as before (if not worse). In summary, 5 stars to the shopping process at QuietPC.com but one star to these washers because they don't work as advertised. Hi there - thanks for your review and it's a shame to hear that the fan mounts didn't work very well for you. Sometimes the success or otherwise does depend on the chassis mounting mechanism and the drive, and actually these washers are often best used on lighter items such as fans and 2.5in HDDs. It may be that a stronger product like the Scythe Hard Disk Stabiliser II would give a better result, or even the Scythe Himuro HDD enclosure. Please contact us if you would like to return the mounts to us. And thank you for your kind words about our service and shopping process, which are much appreciated!